The world`s biggest brands adore Magento for its top-notch customization, flexibility, and the introduction of innovative features. Why are so many people looking for Magento alternatives? Despite its greatness, Magento is neither ultimate nor universal eCommerce solution appealing to everyone. This is one of that resource demanding and technically complicated platforms that requires either an appropriate background or a sufficient IT assistance. Moreover, the Magento store administration is not a piece of cake. If you had a chance to contrast the Magento and Shopify products adding, you see my point. Judging from the fact that you`re deeply interested in Magento solution, one of the world's most powerful and feature-packed platform, we may clearly see that you're reaching the moon. Cart2Cart is 100% sure that all named alternatives will satisfy all your needs. Already captivated? Let`s get started! WooCommerce takes its place of honor in our well-thought-out digest of Magento alternatives. It`s an open-source eCommerce plugin built to integrate seamlessly with WordPress. In an instant, you become a part of ever-growing community and ecosystem contributed to by 350 developers. Sounds pretty promising, isn`t it? Alike Magento, WooCommerce includes hundreds of extensions tweaking your store to a special level of uniqueness. It has one official template - Storefront and hundreds of WordPress templates, the WooCommerce is compatible with, and finally, find your desired one! WooCommerce provides support for additional pay via WooCommerce Account/Dashboard. Though, does it matter if you become a part of such powerful worldwide community? You'll find the load of solutions to any tech related issues. 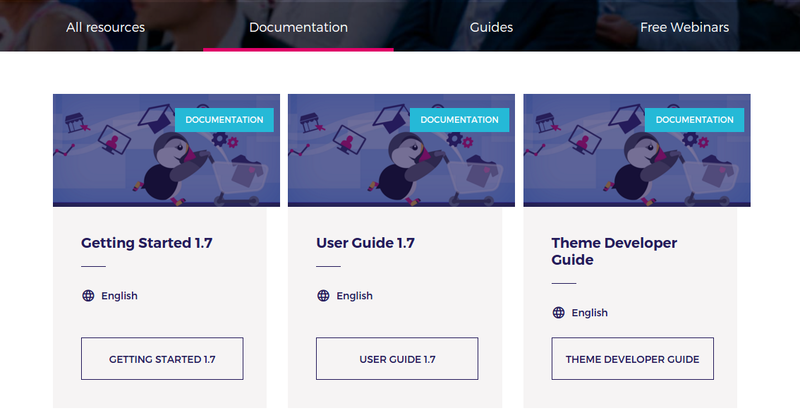 If it`s not enough, you're free to use various FAQs and documentation tools covering the important topics: Extending, Snippets, Theming, Third-Party Plugins, Using Webhooks, WooCommerce Cookies, SSL and HTTPS. WooCommerce clearly sees that the key component of successful online business is SEO. Being an eCommerce plugin, WooCommerce benefits from WordPress's lightweightness, fast speed, and amazing blogging functionality. It offers a plenty of third party plugins (for e.g. Yoast SEO, Jetpack) to make your optimization efforts more effective. WordPress is world's most used CMS that runs millions and millions of websites. Clearly, if one spots a security hole or chance for any exploits, it`ll get spread among hackers and fraudsters with the speed of light. Hopefully, regular security patches and improvements fix vulnerabilities in a flash. It doesn't take from a store owner that much to enhance WooCommerce security by oneself. Simple set precautions, such as using a strong admin passwords or SSL certificate installation are effective ways to minimize the chance of being hacked. If you had never considered BigCommerce to be one of worthy Magento alternatives, you were sadly mistaken. It is among world’s most respected shopping carts that competitively gains a striking popularity among store owners. Though BigCommerce is a hosted solution with no code availability, it can meet both small business and big Enterprise eCommerce goals. What is the secret of this Magento competitor? Let`s reveal the truth! This is a user-friendly platform. Huge respect for BigCommerce development team who made UI clear and intuitive one, transforming the tiresome administrative day-to-day tasks into a pleasant, easy-to-comprehend activity. What is more, BigCommerce can be one of the worthy alternatives to Magento if you're looking for an affordable solution for running your eCommerce store. It gives you a 15-day trial afterward you can pick up the plan that fulfills your ambitions and opportunities. To be more precise, the pricing plan costs start from $29.95/mo to 249.95/mo. Be ready that extensive apps, premium themes and developers assistance will add up to monthly fees. BigCommerce Enterprise edition cost solely depends on your business needs and is determined individually. Unlike Shopify, BigCommerce doesn't have transaction fees that is a beneficial advantage. Apart from being a beloved platform among online store owners, BigCommerce is adored by app developers who continually contribute to an already huge app store. It has many similar to Magento alternatives extensions to help you to fulfill your business needs and goals. If you're used to some of the exclusive Magento add-ons, you'll likely find alternative apps offering the same set of functions but for BigCommerce. As well as Magento, BigCommerce works with nearly all secure payment gateways: Authorize.net, Paypal, Google Checkout, Payleap, 2Checkout that guarantee safe transactions. BigCommerce Enterprise solution provides access to super-professional, world-class support. Any time of day or night BigCommerce is 24/7 available to provide top-notch support & consulting via phone email, chat. You gain a beneficial access to various video tutorials, community forum and blog articles written by dedicated BigCommerce experts. When it comes to Shopify, another prominent eCommerce solution among Magneto alternatives, the thing that can't be left unnoticed is easy and swift setup. Thanks to wizard mode and user-friendly admin panel even novice users are able to establish the store without hassle. Much to your relief after a brain-twisting Magento setup, right? However, there are far more wonderful assets that make Shopify not only one of most brilliant Magento alternatives but one of the world's most popular eCommerce solution in a whole. Let`s discover them together! Shopify, unlike other self-hosted services, has the widest range of customization options for you to choose. Shopify includes hundreds of super-professional, responsive themes, allowing you to ensure a considerable cross-device shopping experience. They can be easily set up without developers` assistance. What's best, is the fact there are a lot of free templates that are equally beautiful and functional. Shopify has a huge App store where you can find various extensions to your store. They are structurally subdivided into categories by their functionality purposes: marketing, sales, social media, shipping, inventory, customer service, etc. And, surely, you don't need to worry about its setup. It`ll take you just a few clicks to be done with that. Shopify provides strong SEO capabilities, including editable title tags, meta descriptions, page URLs, ALT tags for images, customizable image file names, etc. This helps your website rank higher in Google search results. Shopify gives you access to advanced reports and analytics, therefore, ensuring a better understanding of your SEO marketing effectiveness and acquisition efforts. Shopify is an excellent choice for multi-channel retail. It can easily integrate and synchronize your stock with Amazon, Facebook, Pinterest and other platforms. You can literally embed your storefront to any website built with WordPress, Joomla, Drupal, Wix and other CMSes with the help of Buy Button. There are four different plans where the price is ranging from $29 to $229. However, the monthly cost isn't “flat” as it will include some extra fees, up to 2% per transaction. Nevertheless, it`s pretty affordable to run a small Shopify store, considering the rich functionality that comes along. Be ready to burn a hole in your pocket if you’re going to run a store with Shopify Enterprise. Monthly fees for Enterprise solution are high. Shopify has excellent support. In a case of tech-related questions, you may feel free to contact Shopify 24/7 support staff that is instantly reachable via phone, email or web chat. Have you thought of PrestaShop to be one of the powerful alternatives to Magento? If not, it`s a good idea to give it a chance. Being one of the most successful feature-packed solutions, this platform will help to build your dream store. The overall picture of PrestaShop is similar to Magento. It`s a fabulous open-source solution for eCommerce business that ensures a top-notch store performance. The PrestaShop administration panel compared to Magento one is much more comprehensible and intuitive. Multiple admin activities are easily executed with the maximum level of automation. On the whole, all its interface is well thought-out and shouldn't cause any confusion. With the help of Prestashop, you`ll find a happy medium between Magneto complexity and Shopify simplicity. PrestaShop has gorgeous and well-detailed documentation. Perhaps, it offers one of the most solid foundations including numerous guides for merchants, theme developers, module developers, administrators, etc. As well as Magento, PrestaShop has a high-level customization allowing to easily twist and tweak your store as much as it's needed. Technical savvy users will for sure enjoy a full code-level access. PrestaShop templates are impressively flexible and can be easily modified with the help of the convenient editor. Check up this link for free templates. PrestaShop is praised for its supremely developed international community that counts 700, 000 members of both skilled developers and simple users. You gain access to various blogs, many countless social media groups, vibrant official forum, video tutorials. Thanks to its profound materials you can instantly reach the solution to your tech-related problems. One more huge plus is multilingualism because PrestaShop is available in 65 languages. Among the already listed Magneto alternatives, OpenCart is probably the one that evokes the most similar to Magento feelings. The name of this platform entirely corresponds with its characteristics. Alike Magento, being an open-source platform, it has no limits of functions giving you everything to scale and run a profitable business. The first benefit we`re going to single out is an easy-to-maintain setup. Thanks to a well-structured admin interface, all the necessary information are available at a glimpse. You just need to walk through a seamless 4-step launching procedure, localizing the primary settings. Thanks to OpenCart, you can manage multiple stores from one interface. The same as Magento, OpenCart may be proud of abundant documentation. It appeals both to seasoned web developers and shop owners who are novices in eCommerce business. With OpenCart guides, you'll learn how to manage your customers, add products to your store, change layouts, keep track of sales, add extensions. The documentation includes a variety of tech data that are vital for developers. OpenCart offers you piles of in-box features + over 13 000 extensions to expand your store functionality even further. All of them falls into 13 major categories. Speaking of the prices, they are moderate, however, vary significantly. Various extensions and modules offer the trial or light versions allowing you to evaluate the product before the purchase. There are tens of free extensions if you wish to cut your costs. Naturally, a competitive OpenCart platform has advanced SEO features too. Among all named solutions, OpenCart is probably one of most SEO-packed eCommerce solution that can get your products into the tops of SERP. That said, it doesn’t have any “unique” optimization tools that weren’t yet mentioned, that`s why we’ll keep this paragraph short. OpenCart community is big and diverse. The best newcomer`s place to hang out for a newcomer is the official OpenCart forum with more than 110 000 registered members, 126 000+ topics and 550 000+ posts. Many other OC fans are scattered around the web and tend to group into small communities on different forums and social networks, such as Facebook, Reddit, etc. As a result, we have a huge amount of user-generated content that might be super helpful when dealing with issues on your OpenCart store. OpenCart offers you a full range of attractively-designed, ready-to-use themes that are available for download either on OpenCart template store or such 3rd party resources as ThemeForest, Template Monster, etc. They will give you a strong hold over your store customization and will live it up to its fullest potential. What is the outcome of Magento alternatives? So, what kind of conclusion can we come up with? 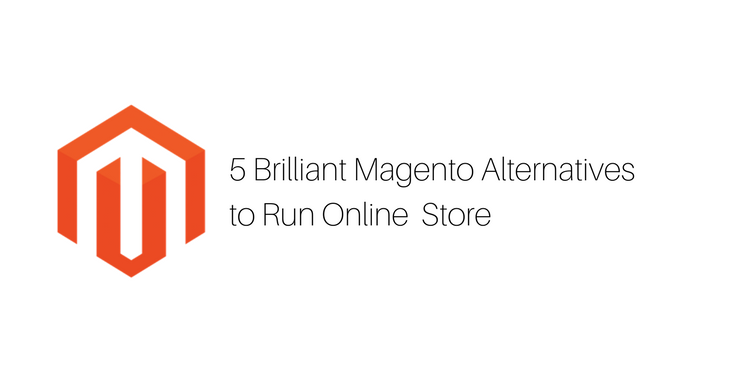 The answer is simple: say YES to Magento alternatives! Some of the overviewed platforms, such as BigCommerce and Shopify, might seem as not so many obvious options. Nevertheless, the above-listed solutions can be of significant consideration when you're striving for a new top-notch store performance and feature-packed eCommerce alternative. Anyway, if your current Magento store and your gut instinct say that it's high time to give one of Magento alternatives a try, Cart2Cart automated shopping cart migration service will help you with that! The service will move your data, including product, order, customer, categories to any above-listed shopping carts or 70 more! Start a FREE Demo Migration now and perform a comprehensive migration of your Magento data to any of world’s most popular eCommerce solutions!